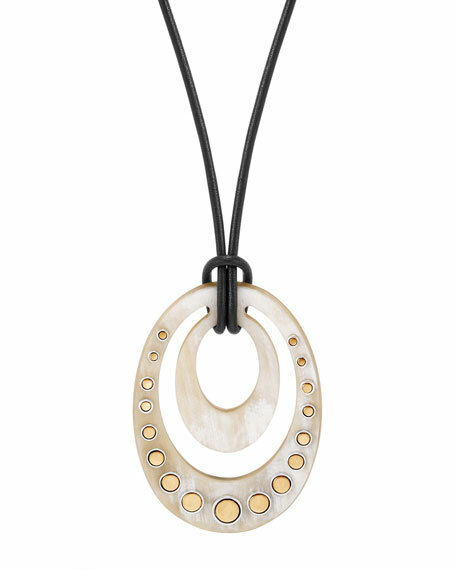 John Hardy pendant necklace from the Dot Collection. Sterling silver bezel settings with 18-karat yellow gold. Black leather strand with buffalo horn oval pendant. Graduating bonded yellow gold dot disc details. For in-store inquiries, use sku #2450531.